Paso Fino. Horse Art. Chris Weigl. Matted 8 x 10 print.
" 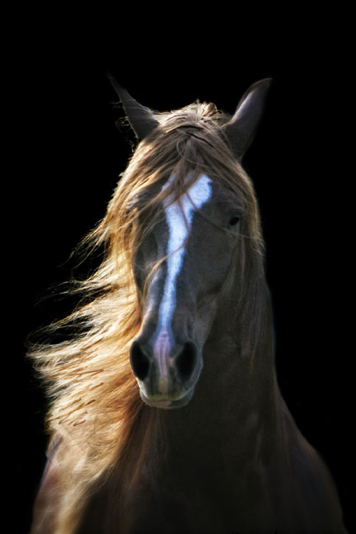 His beautiful mane was just one of the many special things about this horse. His owner was a very talented trainer and taught him many tricks, including how to bow. After his performance he was turned out and then the real show began. Seeing him at liberty made the experience even more memorable." TheHorseStudio.com review: Paso Fino lovers will immediately recognize the proud manner and intelligent expression of the Paso Fino well noted in this photograph. The light plays are characteristic of Chris's work and this is a lovely image of a popular breed.